Pacific Park Apartments - Bachelor apartment suite from $925. Approx 440 sq. ft. This is a family friendly building with onsite laundry. Suites are newly renovated with balconies. Grounds are beautifully landscaped with an outdoor pool, and playground. This property is located in the Cedar Hills district of Surrey. It is situated near the Alex Fraser Bridge, Pattullo Bridge, Central City Shopping Centre and the Surrey Memorial Hospital. 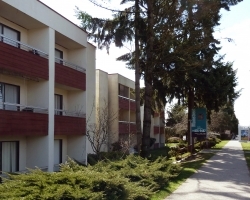 There are many parks within close proximity, access to major bus routes, and Skytrain station.